If your steam boiler or hot water heating systems are not running at optimum efficiency then you could be wasting more money than you think. Inefficient boilers and poorly performing heating systems can result in higher fuel costs, lower thermal performance, more down-time and increased maintenance bills. However, it is possible to improve performance and reduce these costs by improving the quality of the water which feeds into your boiler system. This is can be done using specialist boiler water treatment chemicals or some other way of purifying the water. In low pressure boilers, water purification and pre-treatment would usually involve ion-exchange. However, with high pressure boilers where the pressures required in the boiler are significantly higher, the quality of the boiler feed water needs to be much better, and this can be achieved using a reverse osmosis (RO) pre-treatment process. 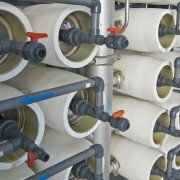 Industrial plant managers, boiler operators and building services engineers are mostly familiar with what reverse osmosis is, but it’s not a technique which often comes to mind when planning a steam generating system with efficiency in mind. Many boiler manufacturers put minimal effort into helping their customers get the most out of their boilers, and don’t typically offer ongoing support and advice about boiler treatment, thermal performance and cost efficiency. 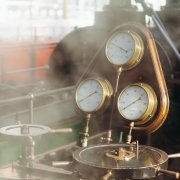 Want to know more about treating steam boilers to optimise performance? 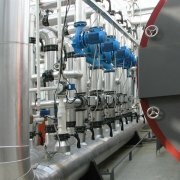 If you are considering using reverse osmosis as a boiler feed water pre-treatment technique to increase efficiencies and prolonging the life of your steam boiler, then it’s important to fully understand the way the technique works and consider some of the issues that you will need to deal with, including maintenance of the reverse osmosis plant and how often the RO membranes will require cleaning. How does reverse osmosis pre-treatment work? Reverse osmosis is an adaptable water purification technique, and many industries around the world use it as a way to purify water. Reverse osmosis works by forcing a stream of pressurised water through a semi-permeable membrane, which removes bacteria, contaminants and other small particles and so purifies the water. Over time, reverse osmosis technology has been refined, and modern RO systems offer superb levels of performance, with water flowing out of the membranes, in some instances, at almost 100% purity. Modern reverse osmosis systems use a lower pressure flow of water, and this means less energy is used in the pumps and consequently, less cost. Water purification units can also be calibrated to ensure that the water flows at the optimum rate for that particular water system. Many industrial users are rapidly adopting reverse osmosis as a way of purifying water for high pressure boilers too. Removing a high percentage of solid particles or micro-organisms from the feed water leads to gains in performance, and a longer life expectancy for the steam boiler water systems. The technology shows particular benefits in the power and petrochemical industries. In these industries, treating water using reverse osmosis has cut maintenance costs and machinery down time, and also increased plant efficiencies. If you want to get the most out of a reverse osmosis system, it might be worth considering pre-treating the water too. The pre-treatment stage will help to prolong the life of the RO system itself by removing anything which could damage or clog up the membranes prematurely. If water is pre-treated in this way, the resulting grey water can be used easily in any reverse osmosis system. One of the most important aspects of any reverse osmosis system is ongoing maintenance with a view to keeping running costs low, and making the membrane last longer. If a reverse osmosis system becomes contaminated or fouled by an accumulation of particles or organic material, this can seriously affect its efficiency. Designing an RO system well in the first place can help to slow contaminant build-up, as can pre-treating the water and flushing the system through to dislodge particles before they have the chance to adhere to the membranes. However well the system has been designed, the RO membranes will still need to be cleaned, and the cleaning schedule will depend on factors such as the quality of the feed water and what sort of pre-treatment is being used. In order to come up with an effective membrane cleaning schedule, a number of different factors will have to be checked. These factors include reviewing the flow rates from which a percentage recovery rate can be calculated – if the recovery rate is too high, this could mean excessive membrane fouling. A very useful check is to carry out periodic silt density index testing or SDI testing of the feed or input water. This will give operators a good indication of the fouling potential of the feed water and how often membrane cleaning will be required. 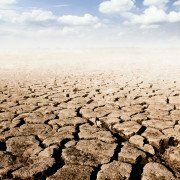 Want to know more about silt density index testing? Samples of water can also be checked to see how much salt is being rejected. 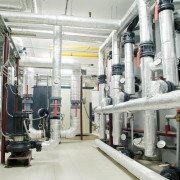 Doing a few simple quality checks can help with monitoring the performance of the reverse osmosis system over time, and will help plant managers and steam boiler operators to come up with the most effective maintenance and cleaning routines given the individual circumstances, without compromising water quality. 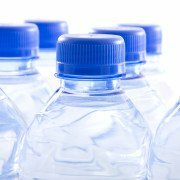 How are RO membranes cleaned? Typically RO membranes are cleaned using acid-based products to remove any limescale, and then alkaline products to remove any organic material. A further disinfection process may also be used to remove microbiological contamination where necessary. Maintenance doesn’t stop with the membrane though, and there should also be an inspection schedule for the RO plant, including all mechanical parts such as valves or pumps, so that items can be replaced as soon as they show signs of wear and so minimise unwanted down-time. A good membrane cleaning and maintenance process should help to ensure high levels of system efficiency are maintained, in a system which is reliable and not prone to unexpected breakdowns. Contact Water Treatment Services today to discuss your steam boiler requirements. 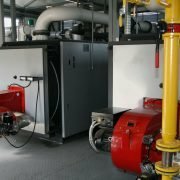 We can provide expert advice and support regarding the maintenance, management and treatment of commercial and industrial boilers and steam generating systems to help you optimise costs and operational efficiencies, reduce downtime, achieve water and energy savings, and increase plant reliability and safety. With offices in London serving the South and South East England, Manchester (North West), Birmingham (Midlands), Bristol (South East England and Wales), Leeds (North and North East) and Glasgow (Scotland), supported by regional teams of specially trained engineers, in-field boiler specialists and technicians we can offer cost effective boiler treatment and engineering support services throughout the UK and Ireland.